“Even though the administrations have often been some of the most provincial (the management history of Expo 2015 is an example itself), Milan is an european metropolis: a place full of culture, ideas and potentials. It is now crossing, as many others have done in our continent already, the phase in which skateboarding (a growing phenomenon) is considered a good way to interact with the territory. For this reason the nowadays elected delegates have tried to design a “skateboarding plan” to declare how they would like to spend the public resources. As a project that didn’t include the expert advise of any skateboarder, right now it doesn’t go in the direction we consider the best for us. So? Before this occasion there was no collective organization that could plausibly express a reasonable and sharable vision of what we need. Now, with the great effort of a a bunch of veterans and fresh blood, we can say that this organization exists: its name is Milano Skateboarding Association. Order of the day: Milan, an international skateboarding centre. 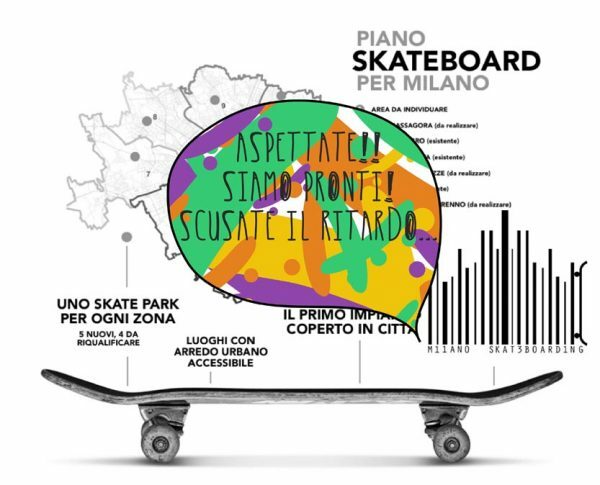 On July 16th, the association “Milano Skateboarding” (a group that link together some veteran skateboarders and young blood) publicly met up with the municipality’s delegates, in order to discuss the “skateboard plan” from the basis. 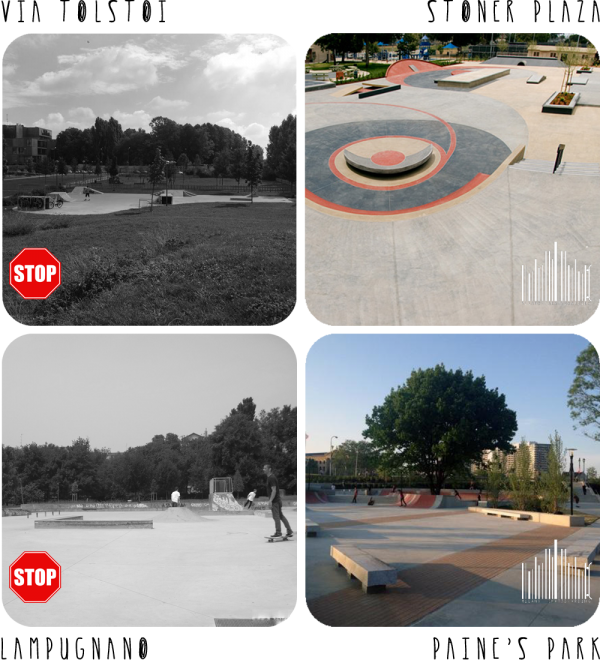 This plan aims to transform our city into an “international centre of skateboarding”. Is it going to be true? On May 27th, after listening to the municipality’s words, we organized to propose a collective vision: shared and reasonable. On that occasion we’re certain that even the public’s delegates have understood the impossibility to do a good job without the skateboarders’ help. Our target is excellence, concentrated in a single, big skatepark project: we’re sure that one gnarly spot is better than a mediocre “modular” thousand. We are going to ask for designers and enterprises capable to stand and overtake the international level. We dream of “the skate-metropolis” (the experiences of Copenhagen and Malmö are the models), we want a city full of spots like Milano Centrale; we are going to push DIY again and again. Milan is a metropolis: big, complicated, crammed full of contradictions and potentials. Milan’s skateboarders resemble it. It’s not easy to keep together ideas, share objectives, transform reality and make it close to our expectations. But there’s only one way to “reclaim our city”: organization. Probably (and luckily) there will never be a single organism able to represent the ideas of everybody: somebody said that “skateboarders are individualists”. There is no question that even “Milano Skateboarding” association won’t be the mirror of everyones’ wills and ideas. There is only a basic criterion that we retain shareable: lie of the land is no longer enough. Everywhere in Europe (and somewhere even in Italy) groups of DIYers and professionals are building incredible spaces, that transform the hidden corners of the city into really contemporaneous perpetual motion artworks, and the catalogue of the enterprises able to manufacture those works is quite long. So what about Milan? We’ll have the possibility to declare the municipality how we imagine our city.. .“european capital of skateboarding”: the delegates used similar words to describe their intentions. We don’t strive for that (also: what’s a capital? ), but in the meanwhile we try to organize to begin the building of this utopia. The future is hard to see, but the present time is in the hands of whom is dedicated and brave enough to clench it. 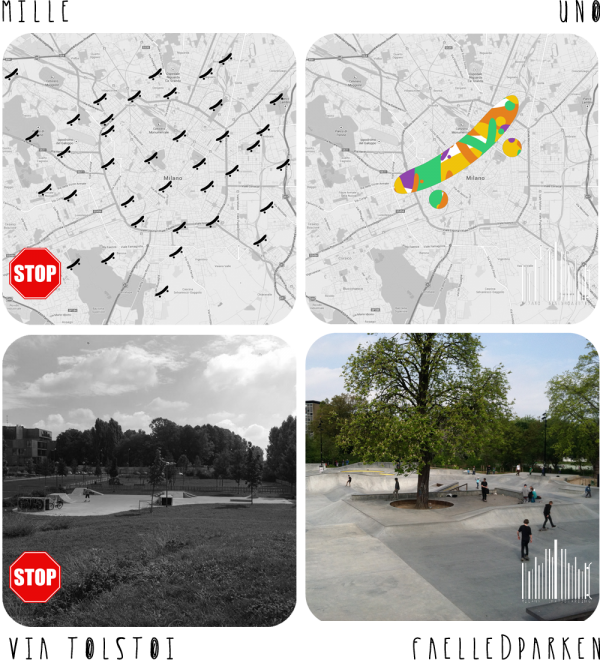 The collaboration between skaters and public administration is producing good stuff in Milano. There is still a lot to be done but those guys are working pretty well.